PARRY SOUND, ON – Trestle Brewing has announced the release of a new beer that is branded in partnership with the Georgian Bay Biosphere Reserve. 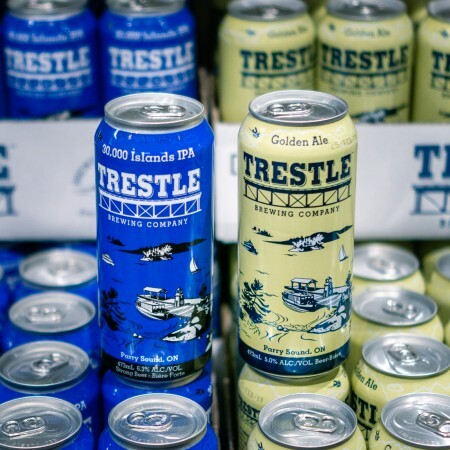 30,000 Islands IPA is Trestle’s second flagship brand, joining the previously available Trestle Golden Ale. It’s available now at the brewery and the Perry Sound location of the LCBO, and will soon be available at other select LCBO and grocery stores throughout Ontario.